Another day. Another Phillies Victory. What a surprise! I went to the game last Wednesday against the Marlins with my two kids. The Phillies won that one as well, duh, by a final score of 10-5 with Roy Halladay getting another Victory. Phillies fans outnumbered Marlins fans by at least 2-1. The only non-Victory came when obnoxious Phillies fan Mike Francis got himself thrown out of the stadium and later arrested. I don't know Mike, but he sent his story on to a Philly sports blog called The Fightins where he had a chance to give his side to what happened. Read it but be sure to check out comment #23 as that's where I filled in a lot of holes in this guy's story. (I was seated closely to him.) I'm glad the story was published there because I was going to write my own rendition here and that saved a lot of time and reached a killer audience. 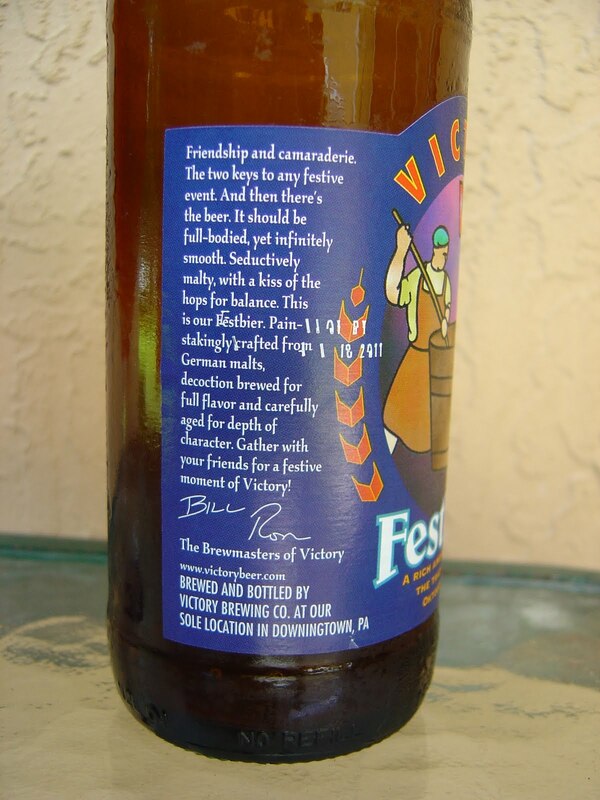 While we're on the topic of Victory, Victory Brewing Brewmaster Bill Covaleski personally responded on Twitter to two complaints about over-carbonation in their Wild Devil beer yesterday. One of those was mine. He asked me for details of the experience at which point I directed him to my review from March. He was genuinely concerned that something went wrong with a few bottles of his beer and is at least doing some preliminary investigating. 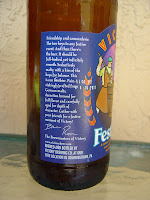 In fact, I promised to try to find the bottle to get some bottle dates from it. This afternoon, for sure. Cool and responsible, and I think Bill's in Denver at the Great American Beer Festival, so it's not as if he has nothing else to do. Thank you! 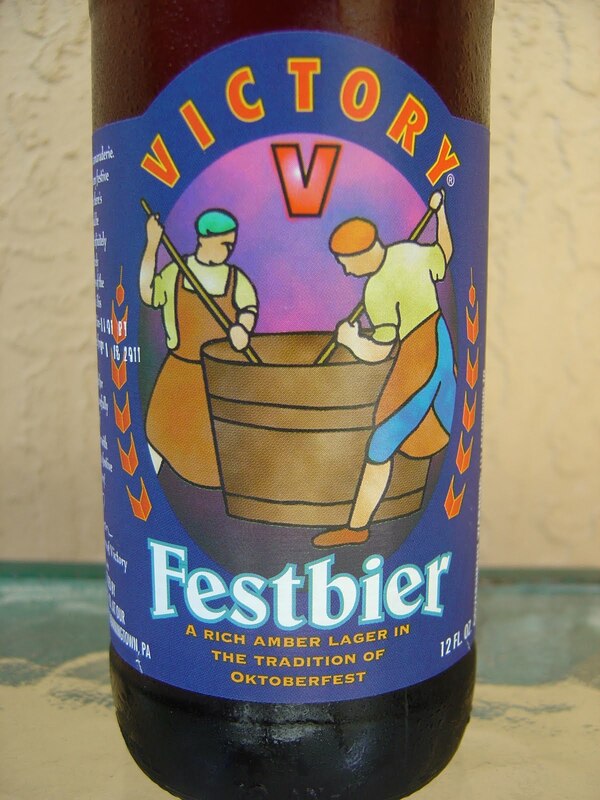 That being said, I grabbed Victory Festbier from my fridge. Couldn't think of another beer I'd like to check out to start my afternoon. I think the date on this one says 9/18/2011 but the numbers are pretty strange. Definitely 2011. 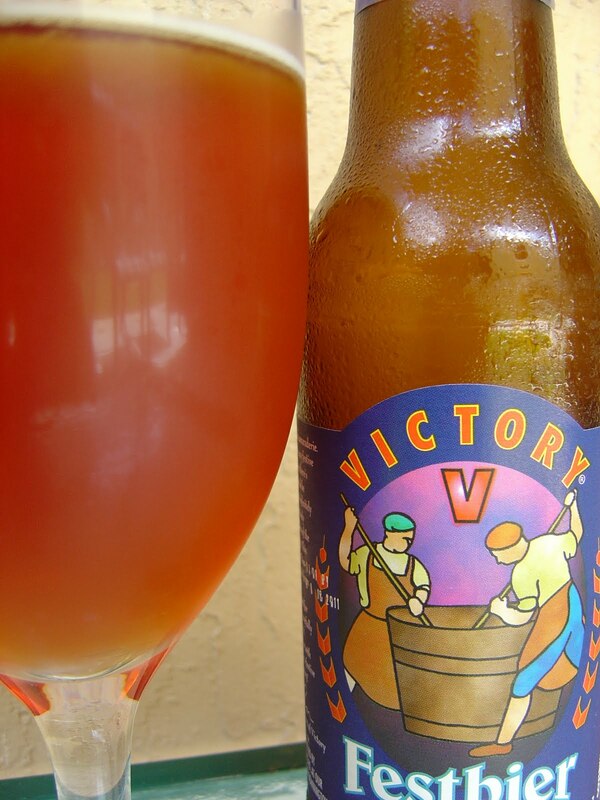 Malty aroma with tea and bread and nuts. Flavors start out with a very prominent toasted bread experience. There are caramel flavors as well and the nutty is nice. Rich and sweet beginning. Just enough bitter comes along to challenge that sweetness, though it was never able to completely suppress it. 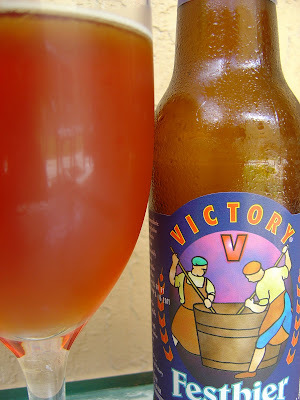 Smooth texture, good body and decent carbonation. 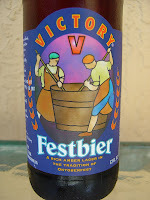 This was a very enjoyable beer. Check it out when you can!